Are cameras the key to keeping East Bay commuters safe? 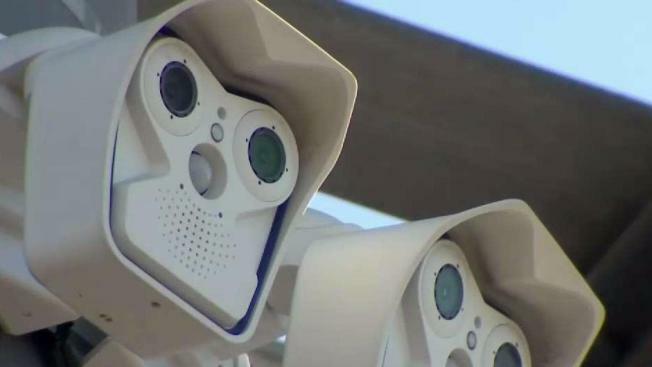 After a series of shootings, $3.5 million has been earmarked for surveillance cameras and license plate readers across East Bay freeways. The Pittsburg City Council on Monday will vote on a resolution to spearhead the Freeway Security Network Project across Contra Costa County. California Highway Patrol officials report 116 freeway shootings in the past two years in the East Bay. Pittsburg installed cameras and license plate readers along its stretch of Highway 4 17 months ago. The city said it has made 160 arrests and recovered 162 stolen cars since the cameras went up. "For us it's been a game changer," Pittsburg Police Lt. Patrick Wentz. "It has no doubt been an invaluable tool we have at our disposal."